Indian brand Micromax has launched its new phone in Canvas series and frist 3D screen smartphone in India, named Micromax Canvas 3D A115. This is the first smartphone from Micromax does not require 3D glasses to view the 3D movies and games. 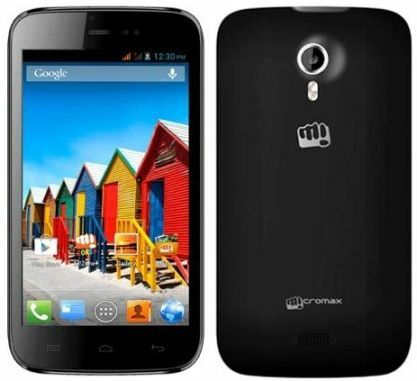 Recently Micromax announced their Canvas smartphones reached above 1 million milestone. Micromax Canvas 3D comes with 5 inch capacitive touch screen display and it runs on Android 4.1.2 Jelly Bean operating system. The phone has Dual Sim support with dual standby feature. It equipped with 1 GHz dual core processor and it supports 32 GB external storage memory. The phone has a 5 MP rear camera with LED flash and a 0.3 MP front facing VGA camera. The phone equipped with a 2000 mAh battery that provides talk time up to 4.5 hours. The company has not revealed about the RAM and the internal storage. Micromax Canvas 3D phone comes with "Micromax 3D Space" feature that offers 3D content and you can access 3D videos and pre-loaded 3D games. There is no support to take 3D images, but you can convert your normal photos into a 3D image format easily. Micromax Canvas 3D phone comes in Black and White colors and priced for Rs. 9999. It will be available in all retail outlets in India from the first week of May 2013. Oh! my god. Really good news to hear. Am waiting to buy this phone. I have waited for Micromax 3D phone that to in 10K. Great news.